Royal Óbidos is now projected to open May 2012 and has been a busy place since December 2009 presumably as a result of the takeover by MSF. Dumper trucks, diggers, mountains of dirt, sand and gravel are all moving to a grand plan in recent months and the golf course and roads are visibly taking shape. MSF has acquired the 50% stake that the Irish Oceânico group held in the Royal Óbidos Spa & Golf Resort, and MSF now holds the entire capital. As I reported in my post "Royal Obidos to start in the coming days" Royal Óbidos was then a joint venture between the Oceânico Group and MSF Tur.IM. But reports of a takeover started appearing in the media on the 16th March 2010 and was confirmed on the government business development agency website AICEP on 26th March 2010. Gerry Fagan, director of the Oceânico Group is reported as saying "The partnership with MSF Tur.IM has been very positive and we are proud of the work we did together to promote the Oeste region of Portugal. However, the Oceânico Group wants to focus on the Algarve." José Manuel Fortunato of MSF is reported as saying that Royal Óbidos "was led from the start by MSF, and having had the support of the Oceânico Group to this stage," gives MSF Tur.IM "guarantees of quality and success." MSF Tur.IM has already started construction of the 18 hole golf course designed by Severiano Ballesteros, and will now build the 44 room five-star hotel, served by a spa and conference room, which will be associated with a number of studios and apartments now described as "lock-off" tourist accommodation. In the Diário Económico of 7th April 2010, Elisabete Soares reported that "prices will be around 3200 euros m2". José Manuel Fortunato of MSF was reported as saying the construction of the eleven different types of dwellings by architects Miguel Saraiva and António Costa Lopes, will only proceed after they have been sold. At the time of the commercial launch, two years ago, they had 150 foreign buyers, but according to José Fortunato, due to the world crisis only 30 confirmed their interest. Marketing is currently focused on Portuguese clients and for now MSF will be going ahead with the construction of the first studios and apartments, totaling 96 units, and that acquisitions are being made by investors who will put in the tourist accommodation. The coastal resort on 136 hectares is to be low density construction, and Royal Óbidos originally planned to build a total of 630 tourist units, including hotel, leased apartments, and isolated dwellings. According to José Manuel Fortunato, director of MSF Tur.IM, they have experience in hotel management at the Marina de Lagos which will be applied at Royal Óbidos. In mid-2012 the developer plans to open the hotel, some lodging and the golf course. Simultaneously with the full acquisition of the capital of Royal Óbidos Spa & Golf Resort, MSF Tur.IM sold its 50% stake in Royal Évora in the Alentejo, to "redirect investments and focus more resources on the project of Óbidos" with the aim of 'enhancing' the group's position in a region that has "greater potential in the medium term." José Manuel Fortunato, director of MSF Tur.IM, said that this acquisition represents "a greater commitment of the group in the tourism sector, in a region that is exemplary in respecting the environment and quality." According to him, Óbidos is going to be a major tourist center associated with golf, and unlike other areas, will do this without spoiling the landscape while offering a cultural and historical context. 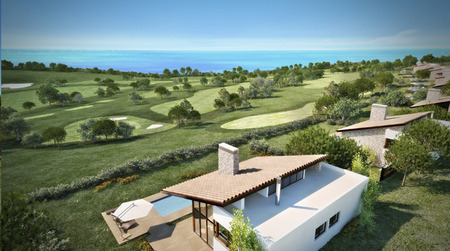 Due to the "unique location of the land", the golf course will "be one of the best in Portugal" and the hotel "innovative" Fortunato said. "As in all tourism projects in which we engage, the perspective is long term. We made a large investment in the quality of assets under management that we intend to keep." 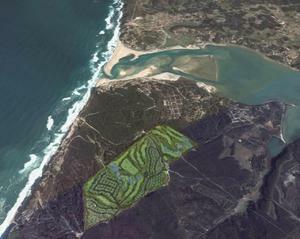 Classified as a PIN (Project of National Interest) by the Portuguese Investment Agency, this resort is considered 'environmentally friendly' using materials and construction techniques to recognized environmental standards. 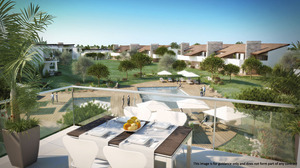 Beside the golf course Royal Óbidos Spa & Golf Resort will offer private pools, shared pools, tennis courts, gym, walking and bike paths, restaurants, bars and shopping.